The Giver is a classic novel that spawned an interesting series. These books really make you take a look at the world around you and question your part in it. They set up such an interesting world and hit upon some complex issues. Is a world that is peaceful but without individuality and feeling really the way it should be? This classic series is certainly not to be missed. The Divergent series gives us a unique and mysterious city that is completely unlike our own. They have strict rules and everyone has their place in society. That’s why things are difficult for Tris. Never quite fitting in, she learns simply being who she is dangerous. As the layers of this mysterious city are pulled back throughout each book, we dive deeper and deeper and into a world simply trying to survive the best way it knows how. The Hunger Games series developed a rich dystopian world focusing on the terrible practice of offering teens as tributes for a brutal arena style game to the death. Katniss rocks the system by breaking the rules and seeing people as more than her competition. In this series, she fights for her life, her family, and for change. It’s a series that hits a lot of difficult topics and brings to light the reality of what people can do to each other. 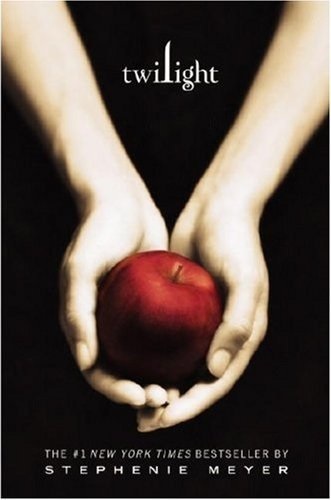 The Twilight series took the popularity of vampires to a new level and took the world by storm. With a completely average heroine getting caught up in the dangerous world of vampires and werewolves, we end up with one sizzling love triangle. Are you Team Edward? Team Jacob? Fans have been fiercely loyal to their guy. To be sure, both guys have their special qualities. Edward is your quiet and sultry brooding vampire while Jacob is your fun best friend who will always be there for you. How will our girl Bella ever choose? The Harry Potter series has been around for well over a decade and has continued to be one of the most popular book series for children, teens, and adults. And all for good reason! The magical world created in Harry Potter is so vast and rich that you can’t help but want to immerse yourself in it. Harry is a relatable and imperfect character. He’s the underdog you want to root for. The writing style is beautiful and easy to follow with such a fun quality. Simple things are brought to life by the vivid descriptions. The first book starts out more geared to middle grade readers, but it is still completely enjoyable by all. Readers are then able to grow with Harry as the maturity level of the books grows with him. The Harry Potter series is truly addictive with a rich world and characters, layers of well developed plot points throughout the series, and some of the best twists. There’s a reason Harry Potter is still so popular: There’s really nothing else quite like it. There you have it. My top five fantasy and science fiction books for teens. Which is your favorite? Is there a series not on the list you would recommend? This entry was posted in Articles and tagged Books, Divergent, Fantasy Series, Harry Potter, Hunger Games, Science Fiction Series, Teen Books, Teen Series, The Giver, Twilight. Bookmark the permalink.